When you’re challenged to solve the need of the hour, having as much data as possible matters. Information from vision systems can be difficult to access and work with – but QualityWorX Vision makes it simple. This module of the QualityWorX suite of Data Intelligence software adds the ability to store, analyze and report on scalar data and pictures from vision systems just as easily as you can from any other process on the plant floor. How can I use QualityWorX Vision? QualityWorX Vision wins gold award! The Vision Systems Design Innovators Awards program reviews and recognizes the most innovative products and services in the vision and image processing industry, and this year, QualityWorX Vision took home the gold. This achievement recognizes the value of a solution that helps manufacturers extend the insight they gain from their production processes to machine vision images and data. From barcodes to inspection applications, vision systems are probably a big part of your assembly lines. Check out this video to see how QualityWorX Vision helps you collect, store, analyze and report on this critical data for faster issue resolution and decision-making you can trust. In this webinar for Vision System Design, Sciemetric's VP Operations shares strategies on how to apply Manufacturing 4.0 principles to vision system data and incorporate machine vision images into a broader view of your production line. Smart factories today generate reams of data from processes and tests across the production line. Being able to collect, store, analyze and report on all the data means you can find the root cause of problems faster and solve them more reliably so they don’t affect production down the line. 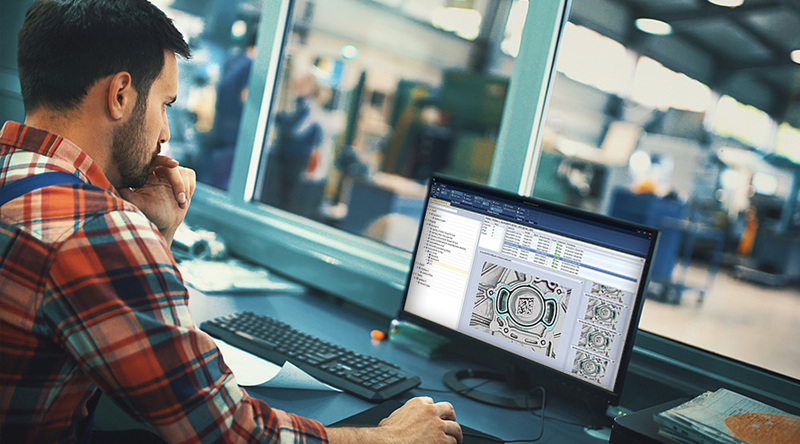 Our suite of QualityWorX manufacturing analytics software lets you include machine vision images and data in a full part history so vision systems are no longer a silo.